nurture positive character, self-discipline, and confidence. classes help foster self-discipline, positive character, and confidence. 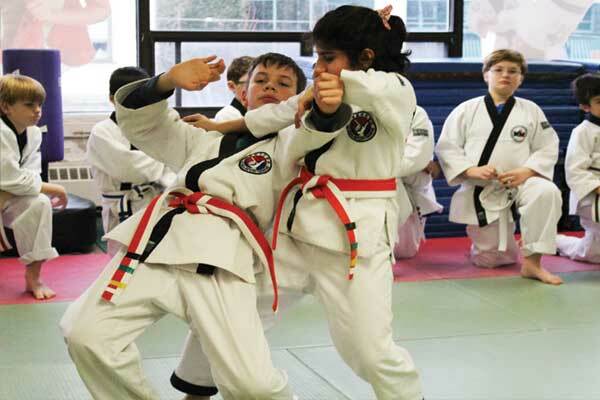 It is no secret that Martial Arts is considered one of the most suited activities to help children gain greater confidence, self-discipline, and focus. Families in our North York community are always amazed at the wonderful life-changing benefits that T.H.A Martial Arts’ Children’s Jiu-jitsu North York programs has to offer. This is because we worked hard to carefully organize every aspect of our children’s martial arts program towards helping your child reach their full potential. Uniquely designed for kids ages 8 to 12. Parents love our children’s jiu jitsu North York Toronto classes. They help nurture good social skills, positive character development, and build confidence. Why Our Children’s Jiu Jitsu North York Classes? We teach an eclectic martial art known as Hapkido. It is a Korean system Jiu-Jitsu that teaches how to use an attacker’s force against them. Furthermore, these children’s jiu jitus North York classes offer kids and families, a constructive, safe, and fun environment. Hapkido also incorporates breathing exercises, meditation, kickboxing techqniques, throws and takedowns, and ground self defense. Let your child be part of something positive and constructive. 4 sure ways to help kids deal with bullying. The best children’s Jiu Jitsu North York classes in Uptown Toronto. Experience age-appropriate instruction in a well-organized, safe, fun, and non-competitive environment. Above all, we understand parents’ interest in an activity that offers kids more than just Jiu-jitsu, hapkido, and kickboxing techniques. Every parent want their child to be a part of something that also helps them become better versions of themselves. Consequently, all kids’ hapkido (children’s jiu jitsu) lessons are age-appropriate, and provide a healthy balance between fun and learning. The best decision you will ever make for your child. Furthermore, the foundation of our childrens jiu jitsu North York program is a noteworthy emphasis we put on life-skills. A positive mental attitude, goal setting, self-control, and non-violence are values that our curriculum is built upon. Martial arts teaches them to take responsibility for their actions, manage negative emotions, and to also stand up for themselves. Enrol your child today. You’ll love what we do!